Quality built, bright and spacious new Ranch home on Cul-De-Sac in neighborhood of newer homes. Hardwoods in the living room, kitchen and hall, granite countertops in kitchen and baths, tile floors in baths. 1,370 sf living area on main level with 3 Bedrooms/2 Baths, and potential for a finished space in walk-out basement . Sunny living room open to kitchen area with slider to 14' x 14' pressure treated deck and stairs to back yard. 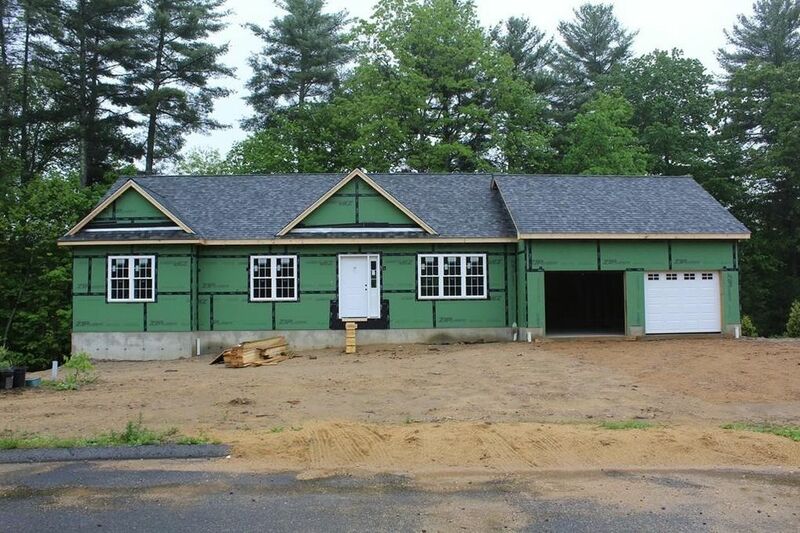 2 car garage attached with door openers and separate exit door. Very energy efficient home meets the energy Stretch Code with forced hot water baseboard heat with high efficiency propane boiler. Easy commute toward Worcester, Route 2 and the Springfield area. Early summer completion anticipated.